I think Virgin Media deal seems better if wants to go for 12 months. How fast are Plusnet's (data) speeds? Bought simillar deal for wife with plusnet, and there was constantly something wrong with signal, people were ringing her number but phone was not notifying anything, or cals were going straight to voicemail, weird things, requested new sim , same thing, read on their forum that few folks had simmilar issues..
went on they website and can't see none of this. Got a link sounds an amazing deal. Do orange even exist any more? 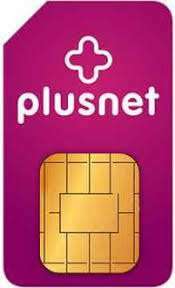 "Plusnet Mobile is a fairly new name in mobile, but it’s actually a rebranding of LIFE Mobile. The company is owned by BT, which also owns EE, so of course it uses EE’s infrastructure"
I have 3 lines with Plusnet as well as fibre broadband and landline. I recently upgraded one to the 6Gb unlimited minutes, unlimited texts. I originally signed up to 4Gb and limited minutes for £10. I just keep watching for better deals and upgrading. The great thing about them is they allow existing customers to switch to the new deals. They gave me a loyalty bonus on the last switch, so now I'm paying £8 instead of £10 for the latest deal. I bought 2 sims for relatives and I'm not getting any complaints from them and managed to change both sims over to Black Friday deal for £7.50 from cancellation. don't mislead others by writing non sense - show us a link ( don't say you get email or call ).. troll alert! Really when did they switch from EE? Me and Mrs with plus net for past 12 months. Absolutely no issues and customer services good. Got virgin black Friday offer. Call Plusnet to cancel my contract. They ask why I leave. I politely give them a reason. They just drop the phone right after I give them a reason. Call again and have to wait for another 34 minutes. Luckily they cancel my contract. Never Plusnet again. they merged hence why they now have the best network in the uk (they have the most spectrum). Good to see the millions of pounds they spent advertising the merger worked so well. I would rather have 6gb with Plusnet/Virgin on EE than 10gb with anyone else. There network is simply the best. EE give good retention deals but lousy ones for new customers. EE = orange/T-Mobile they merged. Bought simillar deal for wife with plusnet, and there was constantly …Bought simillar deal for wife with plusnet, and there was constantly something wrong with signal, people were ringing her number but phone was not notifying anything, or cals were going straight to voicemail, weird things, requested new sim , same thing, read on their forum that few folks had simmilar issues..
Got virgin black Friday offer. Call Plusnet to cancel my contract. They …Got virgin black Friday offer. Call Plusnet to cancel my contract. They ask why I leave. I politely give them a reason. They just drop the phone right after I give them a reason. Call again and have to wait for another 34 minutes. Luckily they cancel my contract. Never Plusnet again. You should never cancel, you should ask for a port access code, PAC, cancelling does what it says on the tin. You should never cancel, you should ask for a port access code, PAC, …You should never cancel, you should ask for a port access code, PAC, cancelling does what it says on the tin. Porting Authorisation Code. Porting Authorization Code (PAC) is a unique identifier (normally 9 characters long and in the format "ABC123456") used by some mobile network operators to facilitate mobile number portability (MNP). don't mislead others by writing non sense - show us a link ( don't say you …don't mislead others by writing non sense - show us a link ( don't say you get email or call ).. troll alert! I do hope this clears up the matter in regards to (misleading others) many people got this deal over the Black Friday period even new customers it was not advertised it was more word of mouth..the deal only lasted 3 days..when I saw that someone else had got the deal I did not waste any time in writing comments about ‘show me proof’ I called and spoke to the saves team..so please look at the link and also comment to the other members who have got the deal and them writing nonsense..some people really take this site a bit to seriously...so as requested is this link you urgently required for you records. No it was a deal that was not live loads of Hotdealsuk members got it over blackfriday I really don’t understand how no one saw it..it went hot.. So essentially the deal does not exist RIGHT NOW! I'm looking for a new sim deal, saw this yesterday voted hot and waited for the comments to come in so I could get a flavour of a) the sim service (I have Plusnet wifi and phone) and b) whether there was anything better out there. I saw your comment and thought another 'hit and run' poster and moved swiftly on. I didn't see the BF deal, there were too many to keep track of. The post by @itsvimal on this thread is a very good example of how to post effectively, otherwise seriously why bother. Hopefully, this feedback is useful to you and others who post in a similar fashion. So essentially the deal does not exist RIGHT NOW! I'm looking for a new …So essentially the deal does not exist RIGHT NOW! I'm looking for a new sim deal, saw this yesterday voted hot and waited for the comments to come in so I could get a flavour of a) the sim service (I have Plusnet wifi and phone) and b) whether there was anything better out there. I saw your comment and thought another 'hit and run' poster and moved swiftly on. I didn't see the BF deal, there were too many to keep track of. The post by @itsvimal on this thread is a very good example of how to post effectively, otherwise seriously why bother. Hopefully, this feedback is useful to you and others who post in a similar fashion. Yeah totally understand when I saw the deal I thought nah not EE but when you get put through to the sale or saves team just tell them what your friend has got and 9/10 you will get the same deal..these deals come up each year when blackfriday comes alone EE watches all the networks to see what deals they come up with and then very sneaky they do a deal without a single advertisement as it’s all word of mouth. Does this allow Tethering? Even tho they use EE someone on here said EE still have a better signal? As they get priority. Not a great deal , I get unlimited mins , Unlimited text , 8 gb of data . £10 plusnet .